I'm delighted to welcome Ben Kane back, on his virtual blog tour to promote his new novel, SPARTACUS THE GLADIATOR (St Martin's Press, hardcover, $26.99). Steven Pressfield calls Ben's latest book "Gritty, passionate and a damn good read. 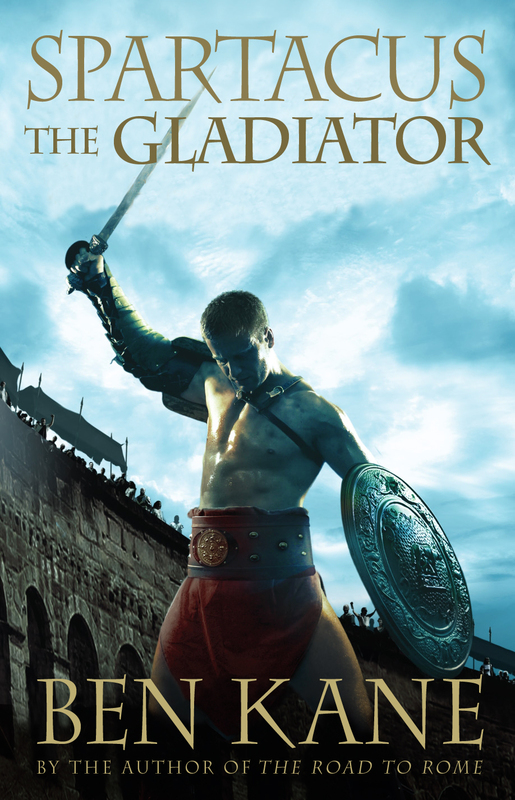 Brings Spartacus -and ancient Rome - to vivid, colorful life." I couldn't agree more. I'm currently reading it and am enthralled by Ben's keen sense of the violence and splendor of the era, as well as his sensitive, unique approach to this legendary man. 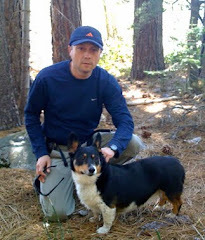 Today, Ben offers us a guest post on the history behind his work. Please join me in giving a warm welcome to Ben Kane! There are few names in history as recognizable as that of Spartacus. At first glance, this may seem unsurprising. Spartacus’ achievements were truly remarkable. Having been sold into slavery ― we are told by one ancient writer that he deserted from the Roman auxiliaries, but by another that he was innocent of any crime ― he escaped with some seventy others from a gladiator school in Capua, Italy. Through a combination of ingenuity and pure luck, the motley group put to flight not only the first Roman force sent against them, but also the second. Neither set of soldiers were not the Republic’s crack troops, but the second unit outnumbered the gladiators by more than forty to one. Unassailable odds, one would have thought, yet the gladiators prevailed. Word spread fast. Slaves began running away from their masters to join Spartacus’ band. Soon he had a force of over ten thousand men; within a year, it was quadruple that number, or if some of the sources are to be believed, more than ten times. The gladiators’ breakout had become a full-scale rebellion that saw much of southern Italy laid waste. It sent shockwaves through the corridors of power, and in the two years that followed, Spartacus and his army won at least nine major victories over Roman legions. Ultimately, however, he was defeated. How is it, then, that for thirteen hundred years after the fall of Rome, he was forgotten? It wasn’t until the 1760s that Spartacus’ memory was resurrected ― in France. This was due to the movement for political freedom that was sweeping Europe, and the frequent slave uprisings that were taking place in the European powers’ overseas colonies. Spartacus’ renown spread far and wide once more. His name was taken up by revolutionaries all over the world. Karl Marx thought of him as a hero. Lenin, and later Stalin, used Spartacus as the ultimate icon of the class struggle, as the model whom the proletariat should emulate. Howard Fast, American author of the bestselling novel, was a Communist who used Spartacus’ struggle in a similar manner. But his appeal was not just to left-wingers. Spartacus crossed the political divide in the 1980s, when Ronald Reagan mentioned him as a symbol of the fight for freedom. So what were the causes of Spartacus’ slide into obscurity after his death? The fact that not a single written word survives from the man himself, or from any of his followers, has to be a major reason. Another is that little over four thousand words survive that mention him – that’s about ten pages of a typical novel. More was written about Spartacus, but sadly it did not survive. Thirdly, Roman scholars chose not to comment too much on this dark chapter in their history. It’s a common feature for great powers to brush the details of their military defeats under the carpet. Human beings prefer to dwell on the glories, the heyday and the wars won. As the saying goes, the victor takes the spoils ― and they also get to write the history. Was Spartacus really the man we think of today? First, let’s take a look at the world in which he lived. By the first century BC, Rome had conquered all of its potential enemies in the Mediterranean. Its conquests provided a huge influx of wealth into the Republic. At the same time, agriculture was changing, becoming larger-scale. The result was an enormous demand for labour, a need that was satisfied by the import of hundreds of thousands of slaves to Italy. They provided the workforces for the latifundia, or estates that covered much of the countryside. The human tide of slaves that came from the eastern Mediterranean, from north of the Rhine and Danube rivers, and from the areas beyond the Black Sea. Thrace (roughly, modern-day Bulgaria) was one of the crossroads for this trade, and its people were also subject to enslavement. Other slaves came from northern Europe, from the regions east of the Rhine, and from Gaul. The influx of a huge number of free-born slaves into Italy over a short time had a dramatic effect. One of the least welcome was slave rebellions. Spartacus’ uprising was not the first, but the third, slave war to rock Rome in a turbulent period of only sixty years. The first two took place on Sicily, the first from 135-132 BC, and the second from 104-100 BC. It is ironic that these rebellions, both of which lasted longer than that of Spartacus, have all but been forgotten ― despite being better documented. What’s clear about the first two uprisings is that they were not about ending slavery. Nor was that of Spartacus. What they were about was men and woman, many of whom had been freeborn, seeking to escape their enslavement. Today, there are few better symbols of the small man’s fight against overwhelming tyranny or brutal oppression than Spartacus. Much of what we think about the man comes from films, TV shows, or novels. Many modern-day portrayals depict Spartacus as a warrior in the fight against evil, even someone who wanted to free all slaves. As I’ve mentioned, the real situation was very different to these depictions. It is all too easy ― yet erroneous ― to place modern sensibilities on people who lived two thousand years ago. Yet life and morals then were totally different. Slaves were part of everyday life. Like washing machines or automobiles, everyone who could afford one, had one. Wealthy slaves had their own slaves. Freeing a favoured slave was common enough, but the idea of ending the practice of slavery would have seemed bizarre to the vast majority. Spartacus was a talented and courageous man, a charismatic and canny general. He worked to his strengths and was adept at exploiting Rome’s weaknesses. But he was not a man whose burning desire was to free all slaves. Thank you, Ben! 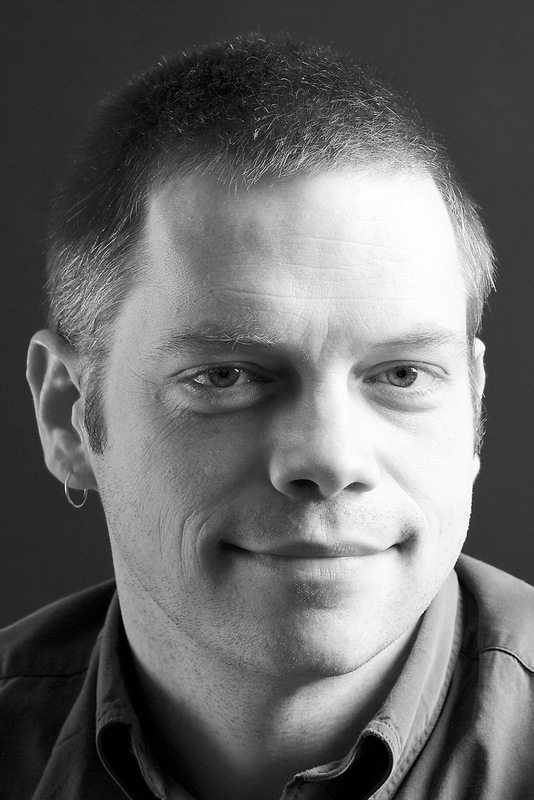 To find out more about Ben and his work, please visit his website. 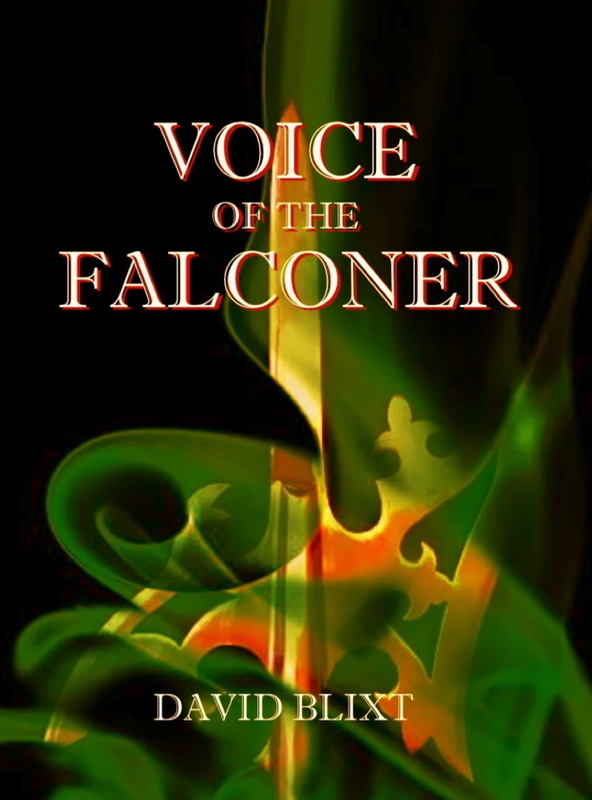 Once again, I'm happy to welcome David Blixt, who has recently released four of his books, including VOICE OF THE FALCONER, the long-anticipated sequel to MASTER OF VERONA. Today, David talks about his relationship with Shakespeare and the Bard's influence on his work. Take it away, David! They made me read him. In junior high, it was Julius Caesar. In high school, first it was Romeo & Juliet, which was cool only because we wasted a week watching the movie (the Zefferelli, not the DiCaprio). The next year it was Henry IV Part One, to which I said ‘you’ve got to be kidding’ and scraped through the test by listening to class discussions.The Bard of Avon and I were not friendly. So how did I happen to write novels exploring both his life and works? It started my senior year, when I had a choice between a reading-Shakespeare and an acting-Shakespeare class. I’d already done a lot of acting by then, so it was a no-brainer. The teachers chose Romeo & Juliet to do that year, mainly because they had a Juliet in mind (fellow author Francesca Delbanco). I remembered from the film that Mercutio was the best part in the show, and after auditioning against the rest of the class, I landed the part. Somewhere in the middle of rehearsals, everything clicked. My teachers had been holding out on me all these years. You don’t read Shakespeare – you perform him! It’s not literature to be scanned, but language to be spoken by real, living, breathing people. Thus started my love affair with the words of Shakespeare. High school led to community theatre and college shows, then professional outdoor productions. Today I’m a Shakespearean actor, something I would never have believed. I’ve performed over 40 full productions of a dozen of his plays, including leads in MACBETH, MUCH ADO ABOUT NOTHING, TWELFTH NIGHT, A MIDSUMMER NIGHT’S DREAM, A COMEDY OF ERRORS, AS YOU LIKE IT, EDWARD III, JULIUS CAESAR, and HAMLET. I’ve played stages like The Goodman, the Shakespeare Theatre of DC, and Chicago Shakespeare Theatre, prodded by world-famous directors beside incredible internationally-renowned actors. So Shakespeare gave me a career. Then he did me one better and introduced me to my wife. 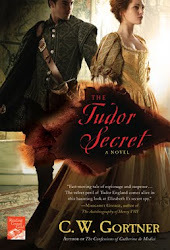 Jan and I met playing Kate and Petruchio in THE TAMING OF THE SHREW, giving us banter material for the rest of our lives.And then, as if all that were not enough, Shakespeare got me to write a book. Once again it all starts with ROMEO & JULIET. I’ve developed strong opinions about that play, and I suddenly found myself dared to put up or shut up. 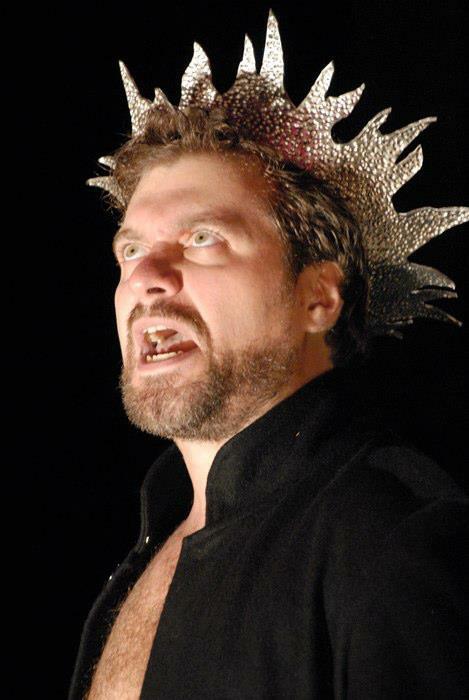 It was my first time directing Shakespeare. I read old versions of the play and Shakespeare’s source materials. I poured through the whole text in a way I’d never done as an actor. Poking around for lines to cut, I found something. I found a cause for the famous Capulet-Montague feud. I may not be the first ever to see it, but I’ve certainly never heard it anywhere else. It’s oblique, and doesn’t really affect the action of the play, but nevertheless, once the idea got hold of me I couldn’t let it go. Thus a book was born. It was going to be a short book, romantic and sad, just to get the idea out of my system. So I started to do a little research, mostly about Verona – the history, the culture. I discovered some facts. At the time the tale of the star-cross’d lovers supposedly took place, a few interesting people were in Verona. Dante, the father of Renaissance literature. Giotto, the father of Renaissance painting. Petrarch, the poet who technically started the Renaissance by finding Cicero’s letters. 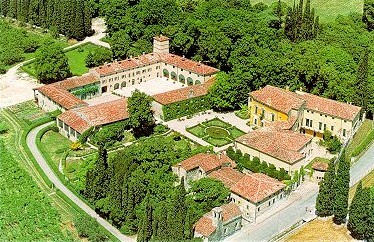 So in a very real sense, the Renaissance began in Verona at the start of the fourteenth century. I then settled in to read Dante’s Divine Comedy, something I would have bet money against at any other point in my life. Halfway through Purgatorio Dante knocked my socks off by mentioning a feud between the Capelletti and the Montecchi. Capulet and Montagues, anyone? Yet, both in the histories and Dante’s work, one man’s name kept cropping up. A man who stood above all his peers, outshone the luminaries of his day. Giotto’s patron, Dante’s friend. A man fit to be a tragic hero of one of Shakespeare's plays. His name was Cangrande della Scala, but he was better known as the Greyhound of Verona. Suddenly the feud became a mere backdrop to a larger tale, revolving around this incredible man. Because he reminded me of someone, a rogue I’d fallen in love with the first time I played him. A character I’ve been asked to perform more times than any other. In the play, it’s said that Mercutio is both a cousin to the Prince, and ‘the Prince’s near ally.’ The Prince in the play is named Escaulus, the Latin version of della Scala.Cangrande was related to Mercutio. I read somewhere that when Alan Alda met Donald Sutherland, he simply took the other man’s hand and said, “Thank you for my life.” If Shakespeare were alive today, I’m sure that’s what I’d have to say. But I'd start by telling him how I'd always hated him. 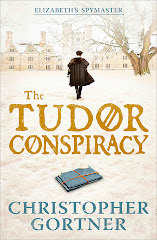 I'm delighted to welcome back my friend and historical novelist extraordinaire, David Blixt. 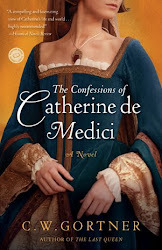 A few years ago, David published the gorgeously inventive MASTER OF VERONA, set in Renaissance Verona and exploring the historical origins of the Romeo and Juliet legend. 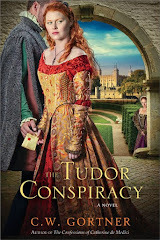 Master of Verona captured many readers' hearts and had us all salivating for the next book in the series. 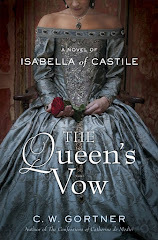 At long last, David has released the sequels, VOICE OF THE FALCONER and FORTUNE'S FOOL, as well as the first novel in his new series set in ancient Rome - COLOSSUS - and a delightfully witty and suspenseful Elizabethan thriller, HER MAJESTY'S WILL. I'll be hosting David here for a few days, so please help me give him a warm welcome! David and I got married in 2002. Our honeymoon also served as a research trip for him. Of the three months we spent touring Europe, starting in Greece and ending in London, fully a month was spent in Italy. Of that month, a week was spent in Verona. Thanks to the advice of a friend, photo-journalist David Turnley, he’d been in contact with Antonella Leonardo, an assistant minister of culture. She arranged every meeting we had in Verona. It was June, and Italy was experiencing a major heat wave, so there were a lot of dinners.The first time we met her, she gave us a list of places to go, people to talk to, and, in passing, handed David a card saying, “And, of course, you'd like to talk to the Count of Serego-Alighieri. He still lives on the estate purchased by Dante's son.” Well, yes. Of course we would. Ummm,wow. The Count has a card. Okay. So we sat on the bed in our hotel room debating just what one should say to a count when one calls to set up a chat. Finally deciding our natural paralysis was a bit ridiculous, David, in a burst of confidence and devil-may-care energy, called the number we had been given and reached the Count's teenage daughter. "Pronto." David said something like, "I'm looking for the, uh, Count?" "My father isn't here. Leave your name and he'll ring you back." Minutes later the phone trilled, and I leapt for it. "Hello?" "Hello. This is Piere-Alvins, the Count Serego-Alighieri." "Hi! Um, my name is David Blixt. I'm writing a book about Shakespeare and Dante, and one of the main characters is Dante's son, Pietro. I was, ah, wondering if I could come out and – speak to you." "How long are you in Verona?" "Come up tomorrow morning. 10 o'clock. Yes?" The next morning we took a cab from our hotel to the address we had been given, many miles outside of the city, down winding country roads. The cabbie stopped the car next to a rather nondescript 15 foot high stone wall. In garbled Itanglish, we asked “Is this it?” He nodded and pointed at the wall. As the cab drove away, David noticed that there were some buzzer buttons placed high on the wall – the kind you find at the front door of many Chicago 3-flats, little white buttons with little white nametags made on a labeling machine next to them. They said things like ‘Vineyard Business Office’ and ‘First Floor Office’ – in Italian, of course. One said ‘Count Serego-Alighieri.’ Giggling like five-year-olds, we pressed that button. After a moment, a low voice came over a small speaker, "Si?" Immediately sobering, David said, "Hello. 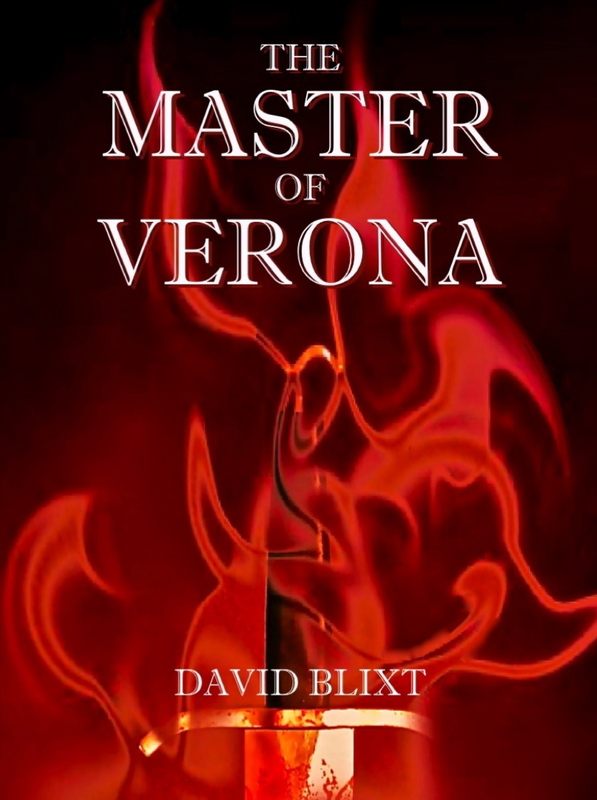 My name is David Blixt and I have an appointment to meet with the Count." After a pause, "Si, yes, turn the corner and go in the Vineyard office." About 20 feet from the little buttons, the wall made a turn. We walked to that point and saw that where the wall seemed to end was a door into a large, rustic, wood paneled and beamed room full of racks and barrels – the walls covered with bottles of wine and vinegar. There was a counter on one wall with two young women wrapping bottles for shipment, and a desk near a door on the far side of the room with a young man who appeared to be doing accounts. The workers in the room barely glanced up. David and I stood in the dim room nervously waiting – for what we weren't sure. A moment or two later, the far door opened and a man entered. He was of medium height, slight of weight, and had straight brown hair, greying at the temples, in an expensive cut. He was wearing a linen button-down white shirt with the sleeves rolled to the elbows and open at the neck and grey linen trousers. He looked at the two of us and approached with a hand outstretched. “Hello, I am Piere-Alvins Serego-Alighieri and you must be David and Mrs. Blixt.” We nodded and smiled as David shook hands with him and he nodded in greeting to me. “Why don't we go into the house.” And he turned and walked towards the door from which he came. 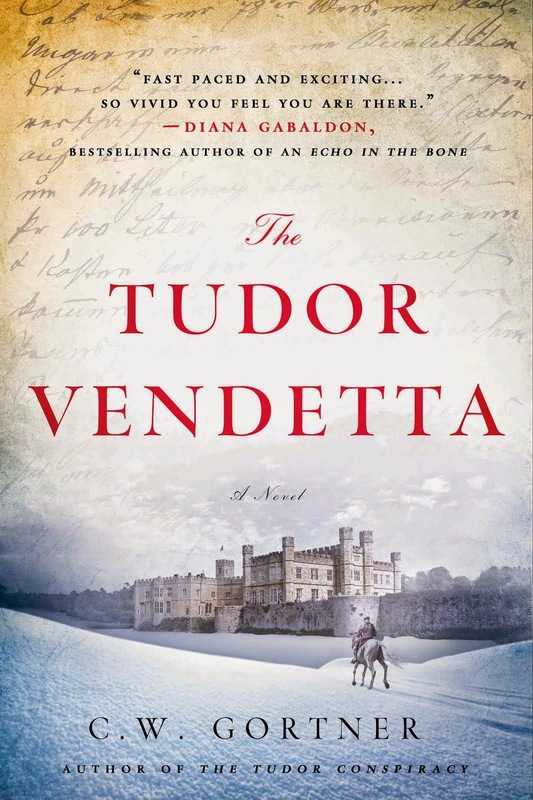 David told him that the main character of his book was Pietro Alighieri and that we were very interested in the home that he had built – and were fascinated to discover his descendant still lived there. Piere-Alvins Serego-Alighieri is an elegant man. I can't think of any other word to describe him. He is soft spoken, his low voice easy to hear and relaxed with a lovely Italian accent to his fluent English. He uses his hands occasionally as he speaks – not in the stereotypical Mediterranean style, but simply, casually, with fluid motions from the wrists. He’s the kind of man who seems to use no excess energy as he moves or speaks – he is perfectly balanced and perfectly calm and perfectly natural in the incredible grace of his home. He smoked quite a bit while we were there, but the smoking had a quiet, cavalier quality instead of the rat-like energy most Americans have when they smoke. We followed him through his home, through rooms that had been decorated in the 14th century and redecorated throughout the centuries since. Antiques from seven centuries lived together in this house. As we walked from room to room, I was reminded of the different villas and homes and museums we had toured in our travels that summer and felt these rooms were no less opulent or stylish, their contents no less rare or extraordinary than the rooms that were blocked off by red-velvet ropes to preserve their treasures. And, interesting to me, mixed in among the 15th and 19th century antique chairs, tables, paintings, and chests were cds and a new stereo system on a console table, family photos in bright plastic frames, and recently published paperbacks and magazines on a sofa here or on a desk there. In the midst of this museum of a house was a home, with a teenage girl living there. Amazing. We ended up in a small study (small being a comparative word choice. It was smaller than some of the rooms we'd been in, but larger than our Chicago apartment). This one held the wedding coaches the bride and the groom rode in when the Alighieris married the Seregos. 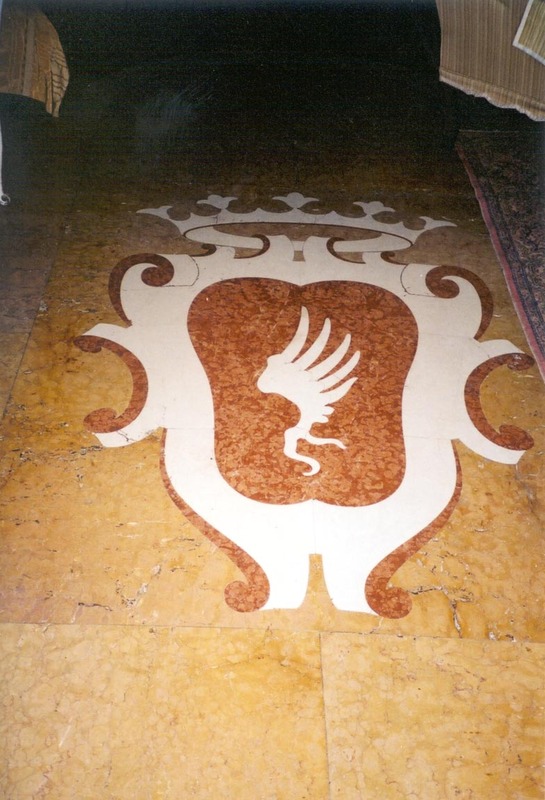 Like the entry foyer, this room had a crest in the stone floor and also a large fireplace and floor to ceiling French doors. We sat on an upholstered settee and the Count sat across a large coffee table from us in a leather club chair. 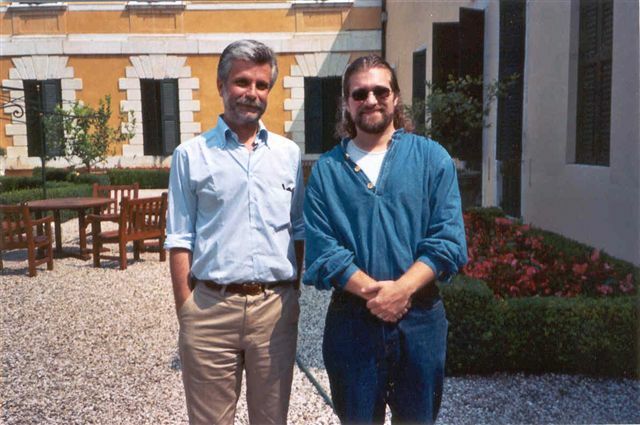 He and David discussed some of the history of the Alighieri family while I tried not to gape at the room. Apparently, the Alighieri sons had the tendency, in the generations following Pietro, to join the priesthood, and by the late 15th century there were no marriageable males left. At that point in the family's history, there was only one daughter, the sons both having taken holy orders. The daughter was courted by a Count Serego and, when he asked her brothers to marry her, they agreed on one condition – that they not allow the name of Dante Alighieri to die out. They would give the Count their sister if, in return, he took their name and passed it along to their children. It was at this time that the family became Serego-Alighieri. At this point in the conversation, the Count switched gears and asked, “Would you like coffee?” He then stood, walked over to the door, and called “Marco!” out into the hall. A pause. “Marco!” He then spoke quietly to someone in the hallway and then returned to his seat. David asked a question about the original size of the land purchase and they continued their discussion. After a few minutes, a man tall man in a suit appeared in the doorway with a tray and silver coffee service. The Count stopped his narrative while the man placed the tray on the coffee table. "Grazie, Marco," he murmured as the man left the room. The Count then picked up his description of the original planting of the vineyards where he had left off. David and the Count chatted on for a while as I continued to look around the room and admire the small pieces around me. After a couple of minutes, I wondered about the coffee. It was just sitting there on the table between us. The Count's manservant (his manservant!... teehee) didn't appear to be coming back. And then it occurred to me – I am woman.Hear me roar. Oh – and the Count seemed to be waiting for me to pour. Seriously. The Count likes his with a little cream. Somehow I managed to serve, feeling like I was having tea with the Queen. And feeling incredibly American and incredibly 21st century. And feeling a little bit angry with my feminist self who wouldn't shut up and stop whispering in my ear: Why can't he pour his own damn coffee? 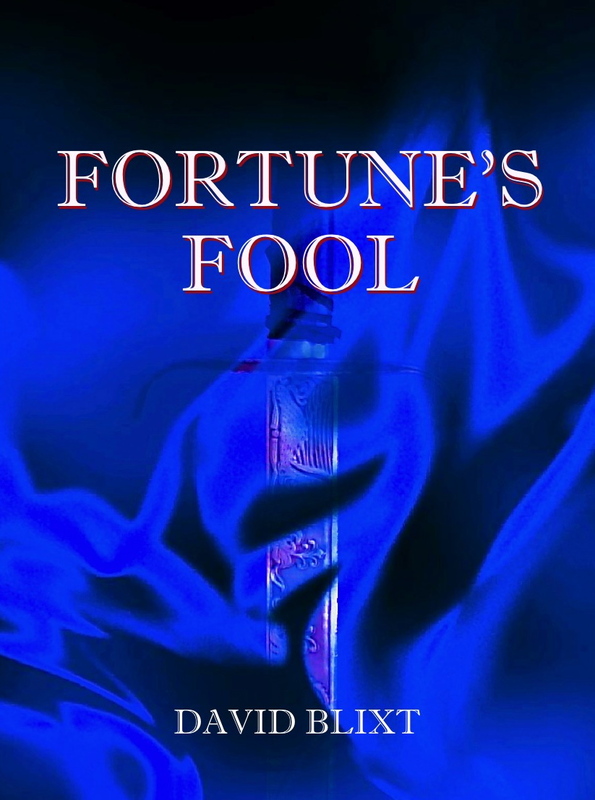 The books that came out of all this are THE MASTER OF VERONA, VOICE OF THE FALCONER, and FORTUNE’S FOOL. I’m pretty proud of them, and of David. Thanks, Jan and David. To learn more about David and his work, please visit him at his website. And don't forget to return next week for another of David's entertaining posts. Have a Kindle edition of my books? I can sign them. Click the graphic to submit your request. Are you part of a book group? I can chat with readers in groups over speaker phone or Skype! To find out more, contact me. 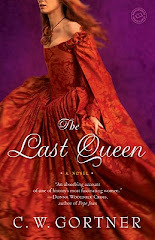 Review at Jo-Jo Loves to Read! Review at Musings from a L.O.O.N.